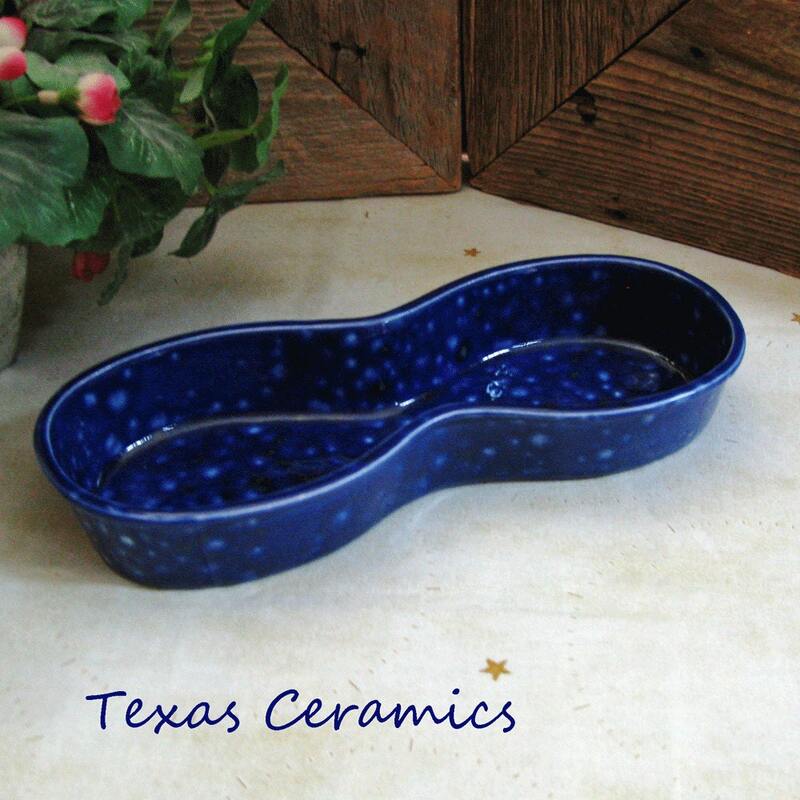 This classic figure eight eyeglass holder is a great way to help you keep track of your eyeglasses and help keep them safe on your desk, end table or nightstand. 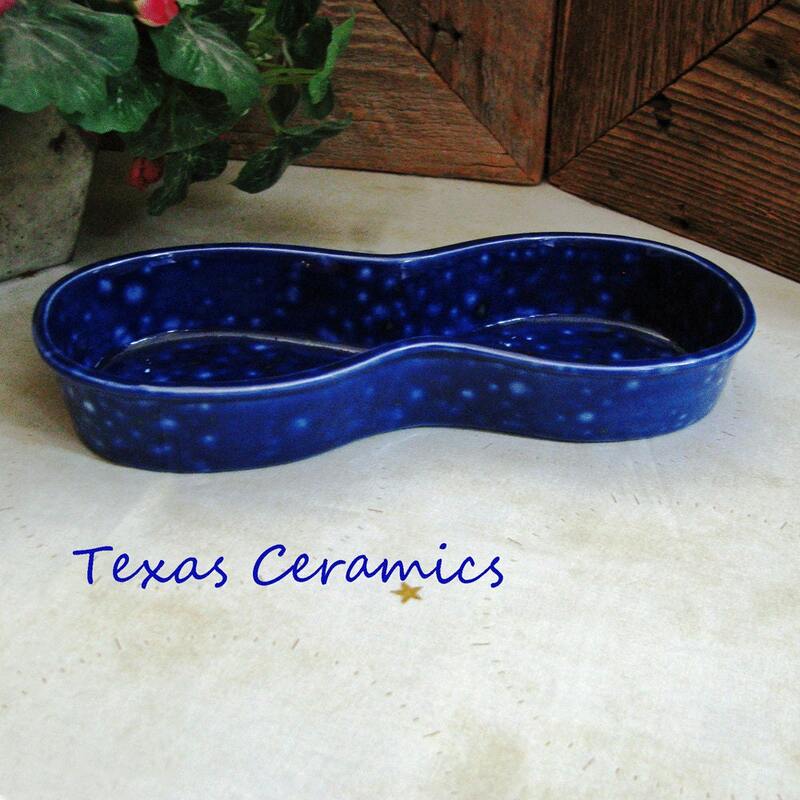 This dark blue and white eye glasses tray is made of clay ceramics in the USA and fired in my kiln, the glazed used is called blue lagoon. 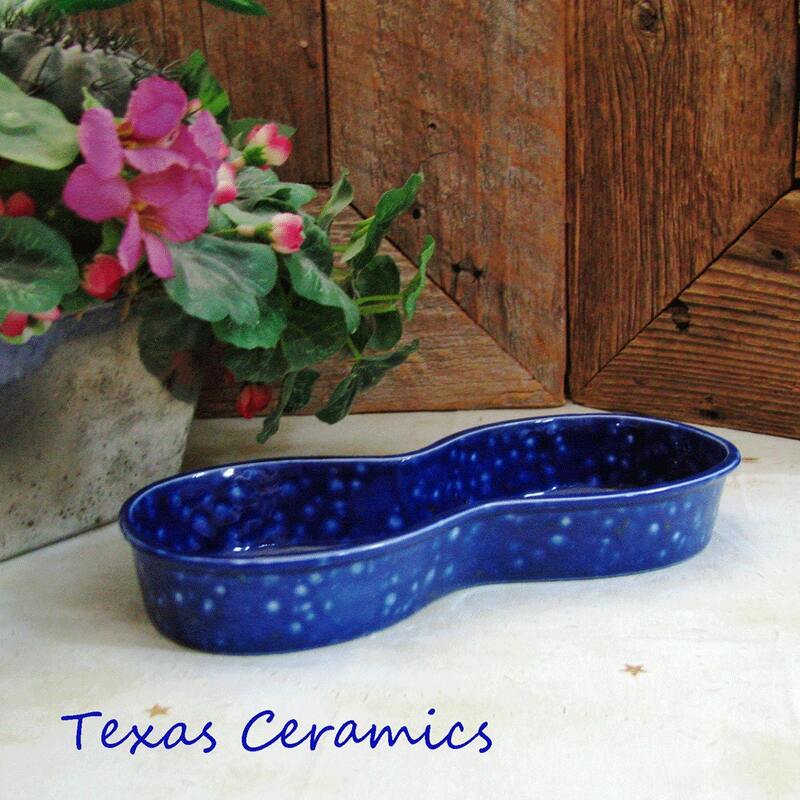 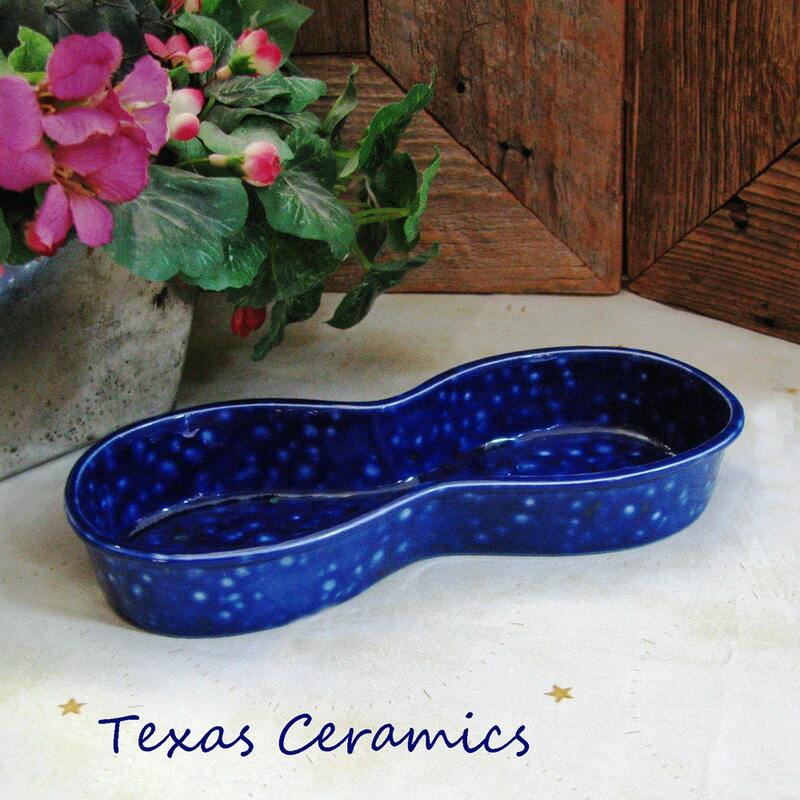 Each tray is made in the USA by Texas Ceramics. 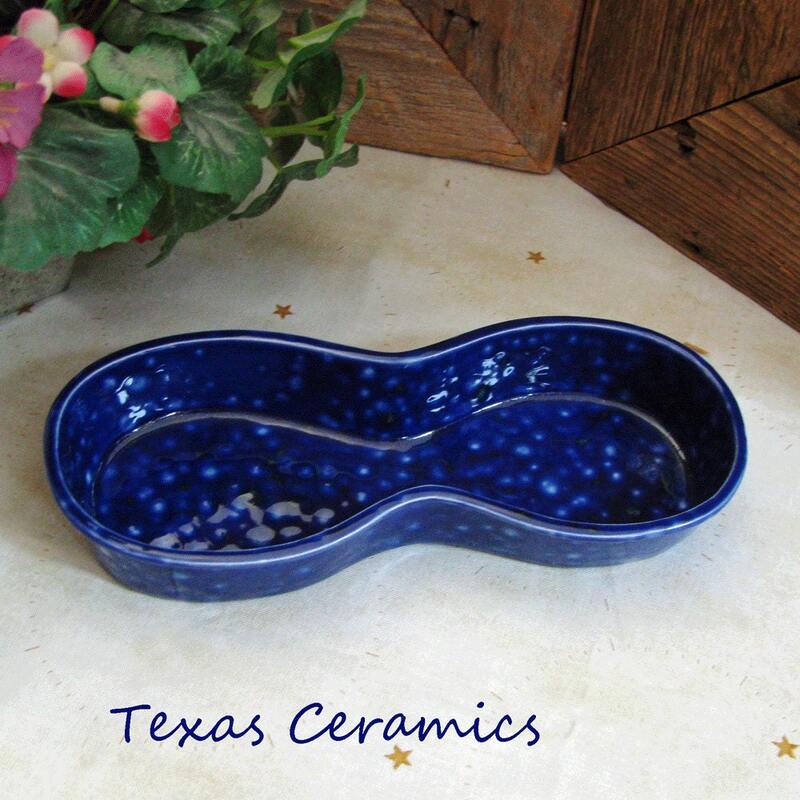 Please keep in mind due to the type of glaze used the placement of the spots vary on each and every tray therefore the one you receive will vary somewhat from the one in the photo.